Our LED Directional Strobe Lights provide the perfect solution to your needs. With 3 LEDs it allows for a strong light to attract the desired attention to ensure a safe environment to work in. These can be used as emergency strobe lights that indicate accidents to increase awareness of an issue or problem. 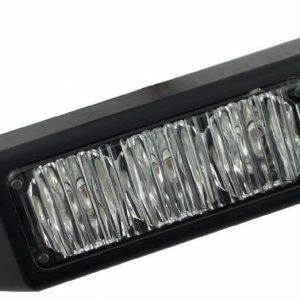 Capable of 9 flash patterns and a memory functuion the LED Directional Strobe is an easy-to-use piece of equipment. It has a multi-purpose element having uses across the board. Waterproofing is a must, LED Strobe Lights for cars will need to have a high IP rating due to the possibility of heavy rain. Our LED Directional Strobes come with an IP 67 rating to make sure they work in all conditions.